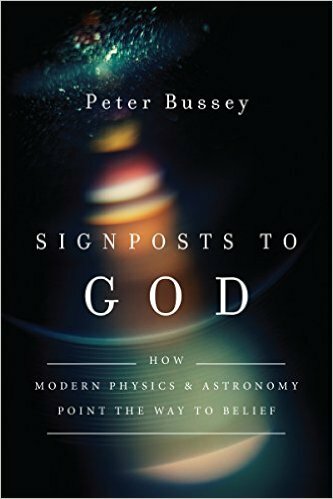 Peter Bussey’s book, Signposts to God: How Modern Physics & Astronomy Point the Way to Belief, looks at evidence for the existence of God in the heavens. Bussey is an elementary particle physicist, currently at the University of Glasgow. He appears to address the question: Does science uncover evidence that the world is designed, i.e. evidence for the existence of God (or a god)? Bussey argues that the idea that science and faith are in conflict is grounded in two myths: The myth of social progress (we have outgrown religion – a way station in human development toward a more enlightened future) and and the myth of physicalism (it is naive to think that there is anything more to reality than that which can be revealed through the science of physics.) Biological sciences and chemical sciences are grounded in physics, but is this really all there is to life? Bussey explores ways that physics and astronomy point to something beyond the merely materialist view. Bussey’s book will provide an excellent opportunity to dig once more into natural theology and evidence for design in the universe. 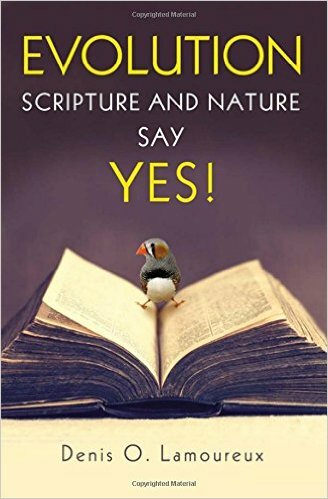 Denis Lamoureux’s book, Evolution: Scripture and Nature Say Yes, builds on his strong background in biology and theology. His focus in this book, as in his others, is primarily on Scripture. Denis writes in an engaging style, opening with his story – dental school followed by a Ph.D. in theology and in biology – initially with the aim to refute the evolutionists who had destroyed his faith in college, but later to show that Christianity and evolutionary biology are not inherently in conflict. The first chapter, Trapped in “Either/Or” Thinking sets the stage. Denis opens with the story of a student in class angry at her parents, Christian school, and pastors for teaching her that “Satan had concocted the so-called theory of evolution,” that she “had to choose between evolution and creation” and that “evolutionists cannot be true Christians.” He moves on to tell his story of being raised as a Christian, becoming and atheist in college, and returning to faith convinced that evolution was a lie against which Christians should battle. He went on to get a Ph. D. in theology, where he learned to view the Bible through eyes of faith, but more sophistication; after being shaken to the core by a revered professor: “one day after class I cornered my professor in a hallway and asked him directly, “What do you think about the idea that the world was created in six literal days about six thousand years ago?” He answered bluntly, “It is an error.” I can still remember how the word “error” rattled my soul. … This was the very first time in my life I had met a real Christian who said that creation in six days is wrong.” (p. 28) This was a first step toward understanding. A second Ph.D. in biology focused on the evolution of the jaw convinced him that evolution is grounded in solid evidence. He started the journey with conviction of a call from the Lord to defeat evolution and defend (young earth) creation. He goes on: “In retrospect, I now see that God did indeed call me to attack atheistic interpretations of evolution and defend the belief that the world is his creation.” (p. 44) The mature call just didn’t take the form he had originally imagined. Lamoureux’s book is a bargain ($10.01 on pre-order at amazon) worth a careful look. 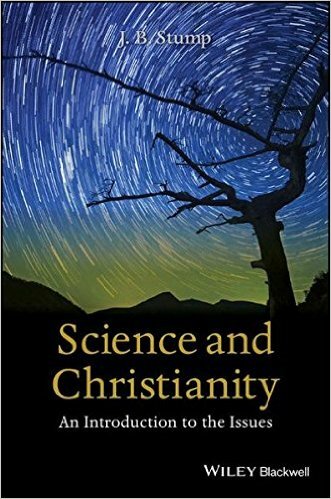 The final book, Science and Christianity: An Introduction to the Issues by J. B. (Jim) Stump takes a philosopher’s perspective writing a book designed for use in college and university courses. This isn’t an overwhelming text book though, and Jim is an excellent writer. It is short – 180 pages – and an excellent introduction for Christian leaders at all levels, including (and perhaps most importantly) the local church. Jim’s intent is to introduce the interested reader to the various facets of the problem. This is not an apologetic for either Christian faith or for science. What are the ways that scholars organize the relationship between science and Christianity? What was the conflict between Galileo and the Church? How can science and Christianity be seen as independent forms of inquiry? What is the Two Books metaphor. On the second question, Jim provides a perspective I hadn’t encountered before. The offending beliefs in particular were the cosmological thesis that the earth moves and the methodological principle that the Bible is not a scientific authority. Other authors have noted that, in making his arguments, Galileo was not exactly tactful, and his blunt and sarcastic style may have contributed to the conflict. But the idea that an implicit attack on authorities played a role makes some sense (especially when coupled to a lack of tact). Denis Lamoureux has a chapter on Galileo in his book providing us the opportunity to dig deeper in a future post. Many of Galileo’s views shape the church’s approach to science and Scripture today. 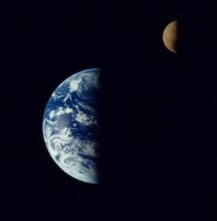 And few would claim it wrong, much less heretical, to view the earth as rotating on its axis and orbiting the sun. We accept the view of gravity where less massive objects orbit the more massive objects. All three books should help to shape good conversation. Join us as we work through them. You may also comment on Signposts to God and More at Jesus Creed. This entry was posted in Books, Resources for Discussion, Science and Faith and tagged Denis Lamoureux, J.B. Stump, Peter Bussey. Bookmark the permalink.